I was told that I was to be on a panel discussion, but I never quite know what that means. Should I prepare something, or wing it, or just wait for other people to say something? So I just prepared a few remarks in a discussion kind of way just to approach the conference topic: the Left and Human Nature. The introduction is from last week’s news. I am an avid reader of news sites because I do a little podcast every weekend called Radio Derb, which of course should be Radio “Daw-b” but it’s kind of established now. So every morning I get up and I read through a whole bunch of news websites to see what’s been happening, and not just current affairs-type news, but also news from the human sciences, from mathematics (in which I have an interest), and so on. Many parents believe that interaction with their children, whether it is reading them a story at bedtime or having family meals each evening, will have some influence on their intelligence later in life. But a new study suggests this is not the case, and their later-life intelligence may be more dependent on genetics. That is the opening of the story. Now, this is not new. Any of you who follow the human sciences will remember, almost 25 years ago now,Judith Rich Harris caused something of a stir with her book, “The Nurture Assumption.” Mrs. Harris, who has been a semi-invalid for much of her adult life, had a job collating and organizing research articles in peer-reviewed scientific journals about child development. After being elbow-deep in this material for several years, she started to notice that there was something missing. She would read her 200th article on how aggressive parents produce aggressive children (if you slap your kids around, they grow up and slap their kids around, and you made them do it), and she started thinking, “Maybe there is some innate disposition to aggression which is inheritable.” Your kids are not aggressive because you made them aggressive by example, but you passed on that disposition to them by rules of ordinary biology. She then wrote The Nurture Assumption about child raising, which came to the conclusion that all of the literature that she had been reviewing all those years left out something important. The finished human adult is about 50% formed by genetics, 45% by nonshared environment, which seems to be mostly peer groups, and 0-5% by parenting. Her most controversial statement is at the end of the book: if you took an ordinary American suburban street and took out all the kids from the families and randomly reassigned them to other families, their adult outcome would be pretty much unchanged. It caused a lot of fuss. But Judith Rich Harris noted that what she was saying conformed pretty well to folk psychology. It you put the word “folk’” in front of something, it degrades it intellectually—but, in fact, we as human beings have been observing each other for hundreds of years and the conclusions we have come to shouldn’t be altogether discounted. When I was a kid growing up in a middle class suburb in England, if people came out wrong, what everybody said was “bad in the bone,” or “ran with the bad crowd.” Very occasionally, a little more in the 1960s and 1970s, did you start to hear: “I blame the parents.” Those three paradigms—bad in the bone = genetics; ran with the bad crowd = nonshared environment; I blame the parents =parenting—pretty much agree with Judith Rich Harris’s observations, and with this latest news item. Now, what about the Left and human nature? Faced with a news story like this, about the very, very slight effect of parenting on the finished adult, a person of the Left will frown and shake his head. A person of the Right is much more likely to murmur, “Well yes, of course,” and nod his head. I think we all understand that broad and generalized notions about human nature travel with political orientation. This is especially true regarding the malleability of human nature, how easy it is to change human nature, and how far it is possible to change human nature. The Left, which I am using to mean approximately people who want a more egalitarian society, believe that the causes of human inequality are external to the individual human being. If you fix the external causes, then you get a more equal society. The Right, who are more tolerant of inequality, believe that components of human nature are innate. Customary and traditional social arrangements that are not obviously harmful shouldn’t be disturbed for projects of human improvement that are likely to prove futile. My approach to all this comes from my own background. I was trained as a scientist and mathematician. My approach is empirical and rational. My inner empiricist always asks: what does the data say? My inner rationalist always asks: what should we reasonably expect from the known laws of biology. We are creatures of biology. We are a branch on the tree of life. We may be other things (I don’t want to offend anyone’s religious sensibilities), but we are at least that. Taking those two approaches, the empirical and the rational, the empirical data says that individuals are innately different in ways that can only be changed in some degree, and not only individual human beings but populations. Inbred populations are different. This shouldn’t be any news. 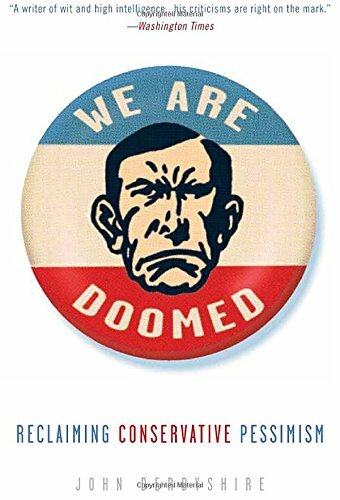 As well as being the twentieth anniversary of The Bell Curve, we also, as of 2009, had the 150th anniversary of Charles Darwin’s Of The Order of Species. If you actually read that book, you will know that he drew some of his conclusions from the experiences of animal breeders. We are, again, one branch on the tree of life, and what they found out should, in some degree, also apply to us. So this is what the data tells us: individuals are innately different, breeding populations are innately different. It may even be that social classes inside of long established societies have innate differences. I refer you to the work of economic historian Greg Clark: A Farewell to Alms, and The Son Also Rises. That’s the empirical evidence. On the rationalist side, what can we deduce from general principles? Evolutionary psychology, as we are now supposed to call it—it started out as sociobiology, which I think is a much niftier term—strongly suggests that, for example, harsher climates select for socializability. People are more easily socialized when they have to cooperate in groups for the sake of survival. And it suggests other things, such as that there will be higher fertility in environments that have a heavy disease load, like equatorial climates where there are lots of nasty diseases. These are just straightforward deductions from general biology principles, which are themselves very well supported by evidence. Anthropologists have noticed, the dads and cads divergence, for example. In a harsh environment, parental investment, especially paternal investment, needs to be more intensive. Whereas in kinder environments, where food is easier to come by, the men can i mpregnate women and sort of wander off more or less at will. But those are my own inclinations. And the problem with human sciences is that it’s a hall of mirrors—because the person contemplating the human sciences, is himself a human being. My own inclination towards empiricism and rationalism are colored by my own personality. So it’s a hall of mirrors. The proper study of mankind is man. But we bring our own inclinations and our own prejudices to that study. I have faith that the spirit of science can overcome this. The spirit of science is a social activity where we exchange views and review each other’s work, and try to duplicate each other’s findings. I have faith that that can overcome the hall-of-mirrors aspect of the human sciences, But I have no illusions that it will be easy to do so. 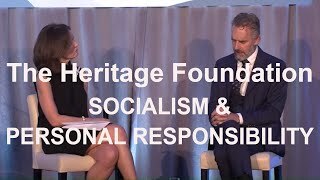 I was recently talking to Jonathan Haidt, the New York University researcher who has written a very good book called The Righteous Mind about our innate dispositions to hold one political position or another. It is a very good book by a very honest researcher, who started out as a fairly conventional liberal, but who, when I talked to him, doesn’t sound like a liberal at all. Haidt actually got in the news in 2011 at the Annual Conference for the Society of Personality and Social Psychology, which is an academic society. From the podium, he polled the audience asking them how many of them consider themselves politically liberal. He estimated that approximately 80% of the hands went up. He asked for centrists and libertarians, and he said he got about three dozen hands. Then when he asked for conservatives in that hall, which had about 1,000 people in it, he got three. So there are honest researchers in the sciences, and they can bend the human sciences to some degree to a more reality-based, a more honest empirical and rational posture. But it is uphill work because it remains a hall of mirrors, and the kind of people who go into the social sciences rather tend to be of a certain inclination. So it may be that even my faith in an honest scientific approach to human sciences is misplaced and nearly a reflection of my own prejudices. I don’t know, but I hope not. I think we are finding out more and more, as the news item I started with from last week’s news illustrates. And the truth that we find out almost always (and there are some exceptions, Google ”Situationism”) suggest that the conservative view of human nature is closer to the truth than the leftist view—and that certainly the extreme leftist view is complete fantasy. Culturalists vs. Biologians; or, Where Is the American Harald Eia? At AMREN 2017: Race Realism Has a Past. Does Race Denialism Have a Future? 15 Comments to "The Left and Human Nature"
Such a smart man, hope you get well soon Mr. Derbyshire. I think that the left’s wrong take on human nature has a kernel of planned deception. Very smart people fear the advice of Thrasybulus so they teach that no wheat stalk is higher than another. It will take the life times of many scientists to undo the lies told by Steven Jay Gould, to pick one example. When anyone says “e.g.” they actually mean “i.e.”; no one ever says anything just ‘for instance’. “THE test showed that the East Asians were less individualistic than the Euro-Americans, but this psychological difference was limited to carriers of DRD4 variants that increase dopamine signalling, i.e., 7- or 2-repeat alleles. Non-carrier East Asians were just as individualistic as non-carrier Euro-Americans (Kitayama et al., 2014). It seems that the East Asian cultural environment can reduce individualism only among individuals who carry these variants. This finding is puzzling in one sense. Previous work has shown that the same DRD4 variants are associated with risk seeking and heavy drinking. The authors suggest that these variants make people more willing to imitate their peers, be they drinking buddies or ma and pa”. Get well and come back stronger Mr Derbyshire. Looking forward to your next post. Some conservatives are realists and/or Burkeans but not all. Some are schoolmarms, as intent as any leftie on bending human nature to meet some desired moral goal. “From the author of Life: A User’s Manual (Godine, 1987) comes an equally astonishing novel: W or The Memory of Childhood, a narrative that reflects a great writer’s effort to come to terms with his childhood and his part in the Nazi occupation of France. Sometimes I think that the only difference between a liberal and a conservative is their perception of real or imagined victims. OK, but what is this 40%-50% ‘environment’? Random chemical exposure in utero? Pathogens? Chance? Or just more unmeasured heritability? “The difference between SRs and Mensheviks is so small, that it is equal to zero”. from the victorious Lenin/Trotsky part (Bolsheviks) of what later became Communist party. 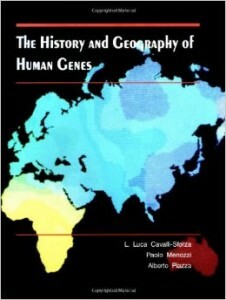 Real environment factors are gene-gene interaction and natural or anthropomorphic environment-gene (human) interaction. Like domino effect. Obamba’s decision can depress reproductive fitness of white working class or ethnic ”predilections” can reduce real meritocracy to genuine talent. Dr conatus, This is exactly what I was about to say myself. How much of the shared environment is created by the gene pool in that environment? 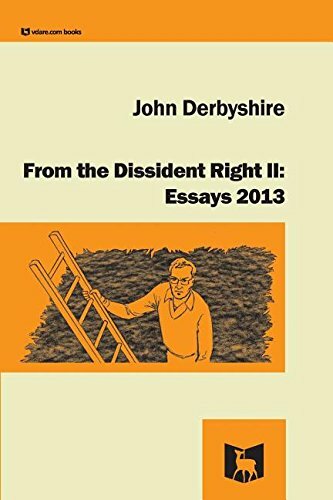 Best wishes to John Derbyshire, I hope he gets well soon. I believe you’ve got the title of Darwin’s book wrong. I see how Situationism, the Milgram experiments and indeed other forms of postwar psychology could be taken to have progressive assumptions behind them and progressive conclusions emerging from them. I even see, if one puts it in terms of the presence or absence of ‘personal character’, why the elements of the Milgram experiments could be taken to prove a leftist point. Still I find it hard not to conclude that Milgram, if indeed what he showed is that given the right circumstances any human could do anything, proved the validity of one of the most conservative of all truths. The same truth that underlies Lord of the Flies. I don’t care what anyone says, not even Golding. That book makes the case for a conservative understanding of humanity, order and civilization. The same truths that underlie the Copybook Headings, for that matter. To paraphrase something Derb once wrote, civilization is the product of centuries of painful effort and is never held on to by more than our collective fingernails. And we all have it in us to to horrible things, to survive, to thrive, or even just to deprive the other guy. It is part of what we are, and it’s the part that runs things for most humans when the chips are down. I’m not even sure that truth is un-Christian. We are fallen men in a fallen world, after all.